The Kansas City Chiefs and safety Tyrann Mathieu have reached an agreement on a three-year deal worth $42 million, a source told Yahoo Sports. Mathieu, 26, was a third-round pick of the Arizona Cardinals in 2013. 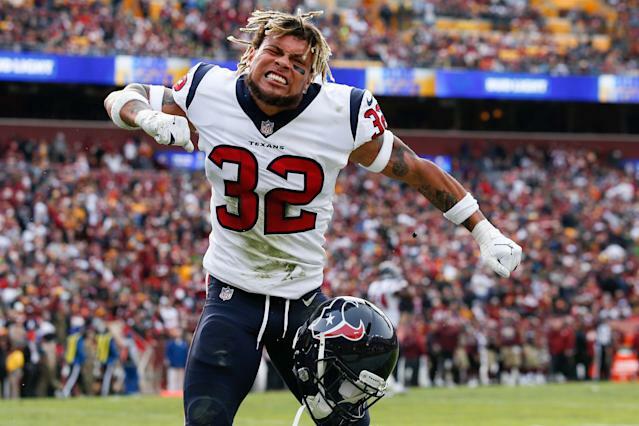 A Pro Bowler and first-team All-Pro selection in 2015, Mathieu signed a one-year deal with the Houston Texans last season and racked up 89 tackles, eight pass deflections, three sacks and two interceptions. Mathieu is regarded for his athleticism, aggression and ball skills. He’ll add a play-making element to a defense that finished 31st overall in 2018. The Chiefs were aggressive with Mathieu, who they viewed as the best and most complete safety on the free-agent market. He was the No. 1 target on their board, and they pursued him quickly once the legal tampering period began, wrapping up the agreement within eight hours.